Julia of Spiral Sea Tarot is inviting bloggers to answer three questions about tarot on Thursdays. Check out the hashtag #tarotthursdaythree to discover more folks who are answering the siren's call to write about the tarot. 1. How do you feel about the Rider-Waite-Smith tarot deck (RWS)? I feel a thunderbolt of clarity when I think about the RWS. I am excited about it. 2. What was your beginning deck? My beginning deck was a generic tarot deck from Barnes and Noble. 3. Do all beginners need to start with the RWS (or clone), in your opinion? Why/why not? I do not feel all beginners need to start with the RWS. I was intuitively drawn to the tarot when I saw the deck at Barnes and Noble. I felt a "yes" in my heart. The soul of the tarot intrigued me, but the deck I bought didn't bite at me or excite me. Because I wasn't pulled, I didn't stick with it. Artists and mystics are creating tarot decks faster than I can get my flying fingers on them, and I feel this is exciting. I remember my visceral attraction to The Wild Unknown Tarot deck, it was thrilling...I couldn't wait to get my hands on the cards. My intuition and my heart both said "yes." I got excited about the tarot again. The memory of my visceral excitement for The Wild Unknown Tarot is the reason I feel a beginner does not have to start with the RWS. The popularity of tarot combined with the amount of unique decks that pique the interest of an array of people who would not otherwise be interested in the imagery of RWS dramatically widens the circle of tarot readers and people engaged in the space. 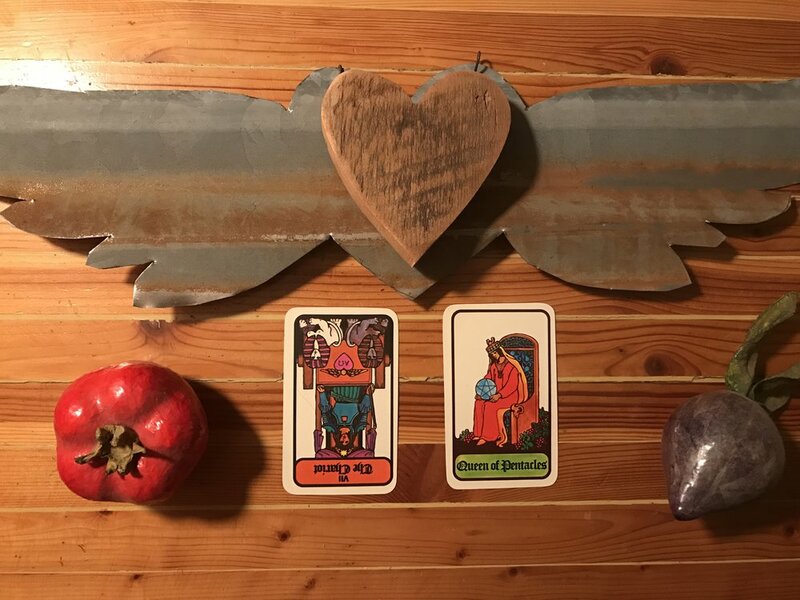 I am at a point in my journey where I am very excited about the RWS tarot (I think of it as the "classic" tarot deck,) in part because I have experimented with "non-traditional" tarot decks and feel that I am missing an important foundation. I want to get back to the roots and be a reader that is grounded in the tradition of tarot that the RWS emanates; yet loves and revels in the contemporary life of tarot, which encompasses the pulsing, changing body of its field of energy. I use my journey in the hopes of illustrating the excitement that the tarot can instill in a person. My soul-force was intrigued by the concept of the tarot but the "classic" images did not pull me in. When I found a deck that I just couldn't wait to play with, my interest was renewed. My playfulness to use any type of deck, whether solely based on visceral imagery or sheer curiosity, has brought me full circle to the desire to lay down at the feet of the RWS goddess and play deeper ever more! Not every reader will feel this way, but this is my "heroine's journey" and I am heading back home, to get to the root. If you let your heart lead you, you can't go wrong. My guess is that the majority of folks that buy a tarot deck based on the way the artistic rendering "speaks" to them, will not go much furthur down the garden path by pursuing it deeply with a seriousness of study. I could be wrong on this...time will tell, there is an entirely new space that has opened up due to the popularity of tarot. I feel that if a person says "yes" to the tarot deck that lights them up inside and makes them want to learn, they can't go wrong. If they make it to a place in the journey where they want to explore the RWS that is wonderful. But, they may develop into an extremely proficient reader and channeler of a contemporary tarot deck(s) message and be a completely different reader that never moves toward the RWS. (I feel this is already happening.) I think that is wonderful. Ultimately, it's about forging a relationship with a deck. I'm excited to see how today's contemporary tarot decks are creating a new "type" of tarot reader. The Chariot (reversed) and The Queen of Pentacles from The Hoi Polloi Tarot.